There's still plenty of families and communities that heavily rely upon the forestry industry. 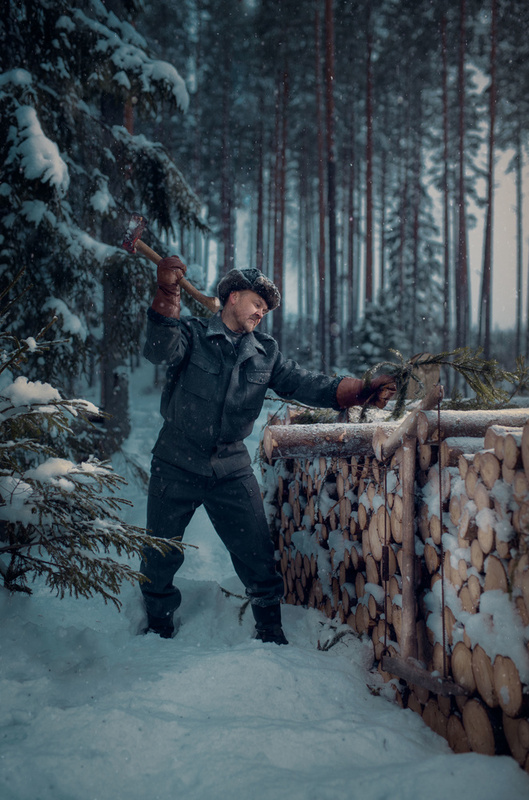 Finland, a country many of us associate with deep woods and arctic temperatures, continues to carry the strong legacy of those who spent their lives working in the forest, and as such, photographer Sanna Vornanen celebrates the lives of lumberjacks all around the world through her latest project. 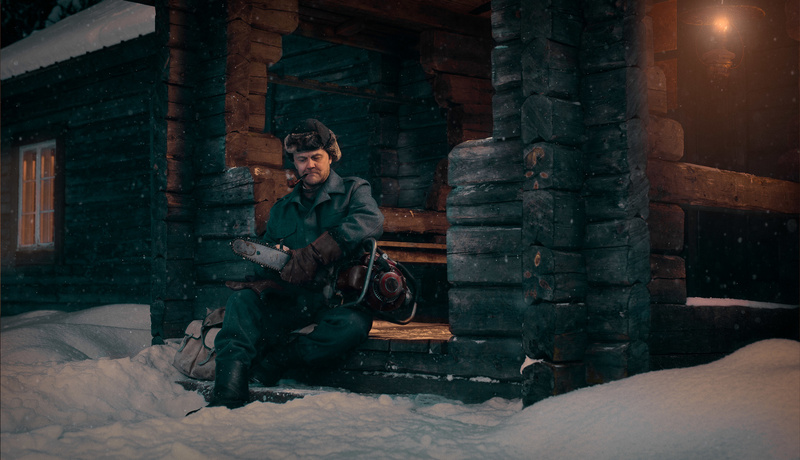 Vornanen lives in a small Finnish village called Elimäki, an idyllic area with a population of under 10,000. Although Vornanen is a photographer with a strong story-telling ability, her connection to forestry is also strong. 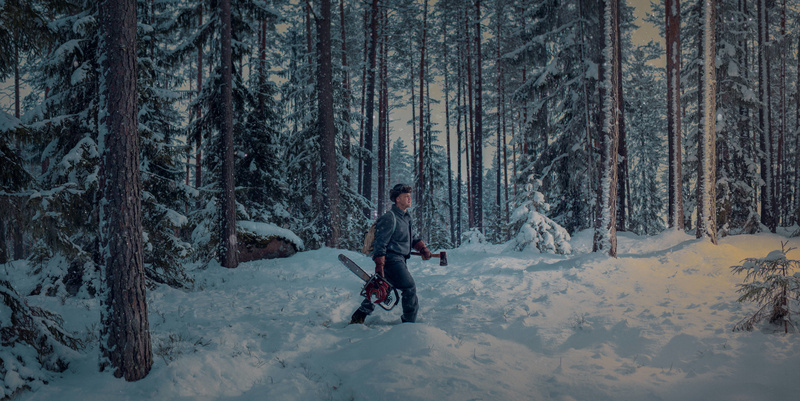 From acquiring a forest management degree to her father and grandfather both working as lumberjacks throughout their lives, to her family managing their own forests; it's clear that Vornanen is strongly connected to nature in all parts of her life as is the country as a whole. During the 1950's and 1960's the nation was recovering from the war which had thrown many families in poverty, which made many turn to farming and forestry as a way to help families and communities survive. Her childhood sounds like a dream to many of us, with adventures in the forest filled with long walks, building huts, inhaling the freshness of pine trees all around. This bond has carried to her adult life. I'm living from forests. There is no option not to have forests in my life. It's my job, my time out, space of relaxation, and quietness. I see forests from every window of my home, and I'm loving it. The affection of woods has flown in our family's veins for decades. To celebrate the importance of forests and those who have dedicated their lives to it, Vornanen came up with the idea of recreating the past with today's equipment. 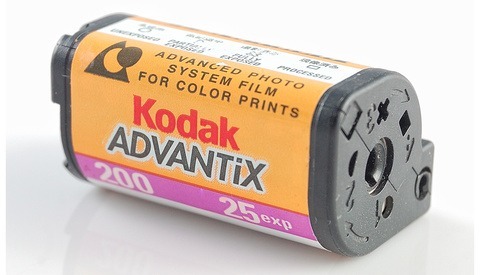 It's not about imitating the black and white film of the past, but instead, she decided to create photographs that would allow the viewer to immerse themselves in the past through digital color photography. The answer of which decade to use as a reference for her project came during a museum visit when Vornanen came across a chainsaw Josered Elkaret XD, which was a 1958 model. Vornanen was on a lookout for a wooden location that had the presence of large pine trees mixed up with smaller spruces. Given that her village had strong ties to the industry, it wasn't difficult to find the right spot, located in a private forest owned by Hannu Kukkurainen. 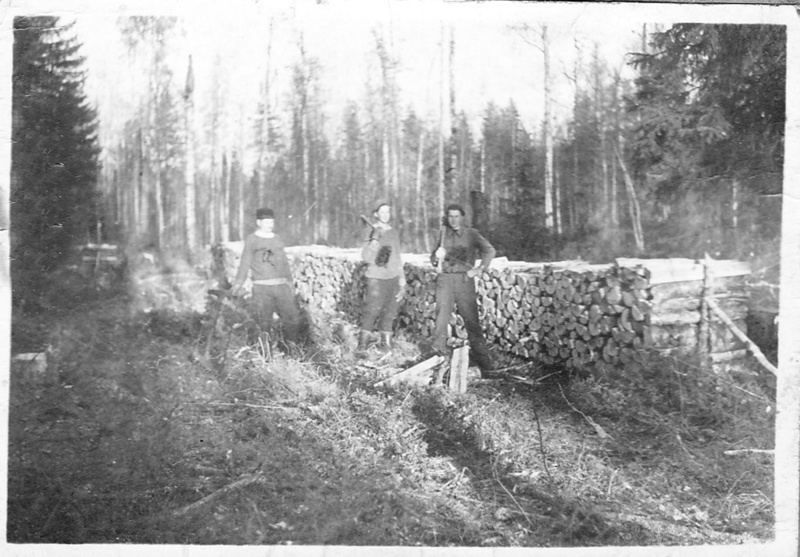 To make it as authentic as possible, Vornanen gained inspiration by looking through her dad's private collection of photographs that documented his time as a lumberjack, which meant that her model had to be equally as authentic as the setting. 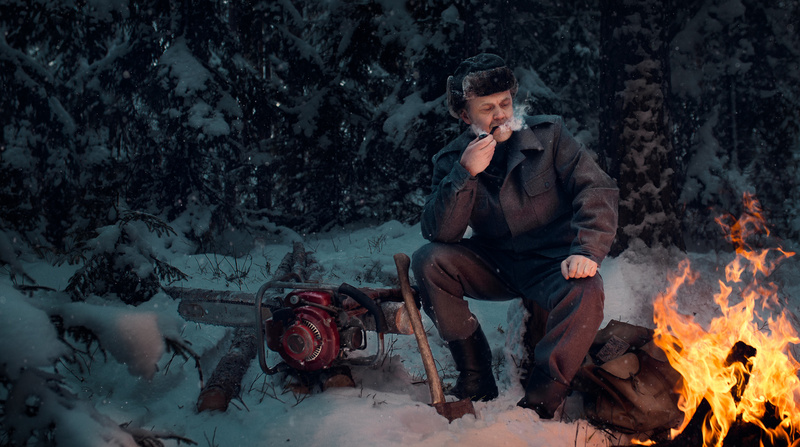 As such, Vornanen chose Markus, who was a farmer himself, and had been working in his own forest just before the photoshoot. To translate her vision from ideas to the reality, Vornanen chose drawing as a way of setting up her shots, from the pose of her model to the mood, and the location of her light source. 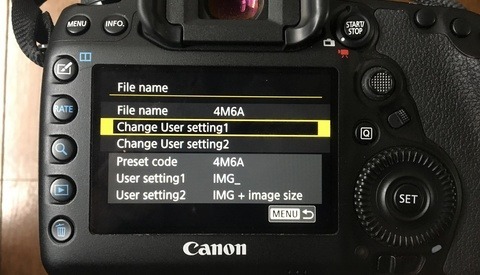 The camera of choice was Canon 6D, paired with Sigma Art 35mm 1.4. To style the image, Vornanen used Godox AD360II and Godox V869II, as well as Walimes Pro 120cm Octabox and Elinchrom Portalite 66. The project garnered a positive feedback from both her local village as well as the online community. Her website is primarily in Finnish, however, Vornanen actively showcases her work on Instagram for her English speaking audience. 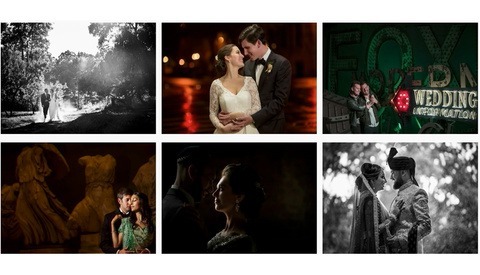 Images used with the permission of Sanna Vornanen. Interesting and worthwhile project as well as very nice photos. Thanks! No. We shouldn't. Not that we shouldn't farm trees but there's no reason we can't do both. Done responsibly, it's healthy for the forests. Sure, they would do fine on their own but they're not on their own. We're here and we're not going away. They need the help of some of us against the damage done by others of us. This isn't really something we can disagree on. The facts are well established and easy to find. Sometimes the forest floor gets "choked" out, inhibiting under-growth. Also, dead and diseased trees are a health risk to people and other trees. These are less obvious and I doubt the forest cares about people :-) so I didn't list them as primary benefits. Always great to see a fellow Finnish photographer get recognition! This series was great, congrats Sanna!